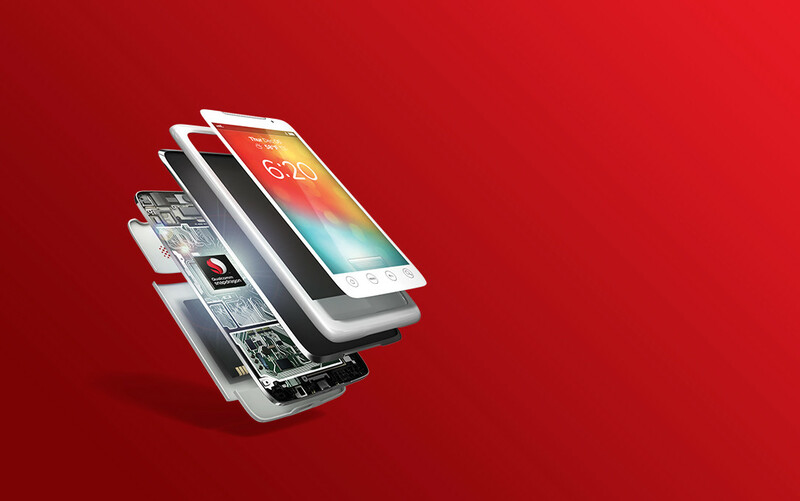 This week, Qualcomm quietly detailed two new, entry-level chipsets for smart devices. The Snapdragon 212 and Snapdragon 412 are successors of the Snapdragon 200 and Snapdragon 400 lineup, with not much new inside except for higher clock speeds and slight optimizations. The Snapdragon 212 is an unchanged 28nm quad-core ARM Cortex-A7 processor, featuring a top speed of 1.3GHz up from 1.1GHz. Other details, such as its LTE connectivity, Adreno 304, and support for 802.11n WiFi remain in place. As for the Snapdragon 412, it is a 28nm ARM Cortex-A53 quad-core processor for mid-range smartphones and tablets. With a clock speed of up to 1.4 GHz per core, memory bandwidth also saw an increase to 600MHz from 533MHz. This processor includes support for LTE connectivity, FHD displays, 13MP+ cameras, Quick Charge 2.0, and Adreno 306 graphics. There is no word currently on what devices we may see these chips in, but with many OEMs focusing heavily on developing markets and budget-friendly devices, it likely won’t be long until these hit the streets somewhere in the world.